William HAYDOCK-H0310 was born 1 on 08 Dec 1880 in Blackburn, Lancashire. He died 2 about Nov 1953 in Blackburn, Lancashire. William married 3 Celia JACKSON-J0308 about Nov 1904 in Blackburn, Lancashire. William was recorded in a census on 02 Apr 1911 at 34, Oxford Street, Blackburn, Lancs. In Sep 1939, William and his wife Celia were still living at 34, Oxford Street in Blackburn. William was working as a Builder's Labourer and Celia was a housewife. Celia JACKSON [Parents]-J0308 was born 1 on 05 Aug 1883 in Blackburn, Lancashire. She died 2 about Feb 1959 in Blackburn, Lancashire. Celia married 3 William HAYDOCK-H0310 about Nov 1904 in Blackburn, Lancashire. Celia was recorded in a census 4 on 05 Apr 1891 at 42, Oxford Street, Blackburn, Lancs. She was recorded in a census 5 on 31 Mar 1901 at 42, Oxford Street, Blackburn, Lancs. She was recorded in a census on 02 Apr 1911 at 34, Oxford Street, Blackburn, Lancs. James HAYDOCK-H0206 was born about 1905 in Blackburn, Lancashire. James was recorded in a census on 02 Apr 1911 at 34, Oxford Street, Blackburn, Lancs. John JACKSON [Parents]-J0303 was born 1 on 23 Dec 1876 in Blackburn, Lancashire. He was christened on 07 Jan 1877 in the church of St Mary the Virgin in Blackburn. John married 2 Elizabeth Alice BREAKELL-B03FD about Nov 1903 in Blackburn, Lancashire. John was recorded in a census 3 on 03 Apr 1881 at 6, Oxford Street, Blackburn, Lancashire. He was recorded in a census 4 on 05 Apr 1891 at 42, Oxford Street, Blackburn, Lancs. He was recorded in a census 5 on 31 Mar 1901 at 42, Oxford Street, Blackburn, Lancs. He was recorded in a census on 02 Apr 1911 at 23, Pendle Street, Blackburn, Lancashire. Elizabeth Alice BREAKELL-B03FD was born 1, 2 on 11 Feb 1882 in Blackburn, Lancashire. She was christened 3 on 26 Mar 1882 in the church of St Thomas in Blackburn. Elizabeth married 4 John JACKSON-J0303 about Nov 1903 in Blackburn, Lancashire. Elizabeth was recorded in a census on 31 Mar 1901 at 76, Withers Street, Blackburn. She was recorded in a census on 02 Apr 1911 at 23, Pendle Street, Blackburn, Lancashire. At her baptism, the spelling was BREAKELL. Elizabeth and her younger sister Annie appear to have been fostered to Joseph Latus (a Publican) and his wife Jane. In the 1901 census, the surname is spelled BREAKALL and Annie is shown as adopted. In the 1911 Census, Joseph (widowed) is living with Elizabeth and her husband John Jackson. He is described as a Foster Father. Alice JACKSON-J0218 was born 1 in 1906 in Blackburn, Lancashire. She died in ?. Alice was recorded in a census on 02 Apr 1911 at 23, Pendle Street, Blackburn, Lancashire. John JACKSON-J0219 was born 1 about Aug 1915 in Blackburn, Lancashire. He died in ?. F iii Edna JACKSON-J0220 was born on 06 Jul 1920. She died about May 1989. Alfred CORT-C0301 was born 1 about Aug 1877 in Blackburn, Lancashire. He died 2 about Feb 1939 in Blackburn, Lancashire. Alfred married 3 Ellen JACKSON-J0301 about Aug 1902 in Blackburn, Lancashire. Alfred was recorded in a census on 02 Apr 1911 at 44, Oxford Street, Blackburn, Lancs. Ellen JACKSON [Parents]-J0301 was born 1 on 27 Dec 1878 in Blackburn, Lancashire. She died 2 about Aug 1953 in Blackburn, Lancashire. Ellen married 3 Alfred CORT-C0301 about Aug 1902 in Blackburn, Lancashire. Ellen was recorded in a census 4 on 03 Apr 1881 at 6, Oxford Street, Blackburn, Lancashire. She was recorded in a census 5 on 05 Apr 1891 at 42, Oxford Street, Blackburn, Lancs. She was recorded in a census 6 on 31 Mar 1901 at 42, Oxford Street, Blackburn, Lancs. She was recorded in a census on 02 Apr 1911 at 44, Oxford Street, Blackburn, Lancs. In Sep 1939, Ellen (a Widow) was living with her eldest son John at 41, Oxford Street in Blackburn. John CORT-C0210 was born 1 on 28 Mar 1905 in Blackburn, Lancashire. He died in ?. John was recorded in a census on 02 Apr 1911 at 44, Oxford Street, Blackburn, Lancs. In Sep 1939, John was living with his mother at 41, Oxford Street in Blackburn. He was working as a 'Scotcher Minder' in a Cotton Mill. The 1939 Register records John as married but no wife is present. 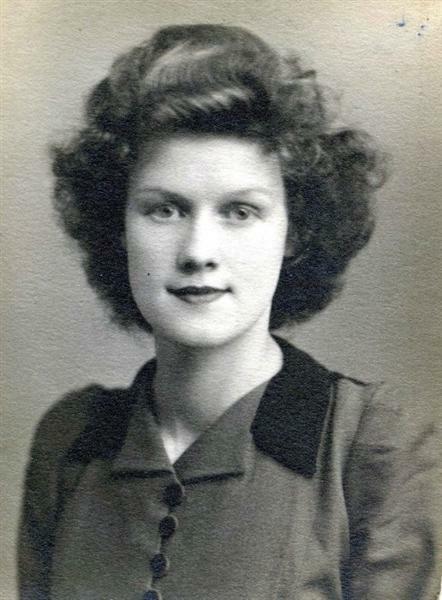 Elizabeth Ann CORT-C0211 was born about 1908 in Blackburn, Lancashire. She died in ?. Elizabeth was recorded in a census on 02 Apr 1911 at 44, Oxford Street, Blackburn, Lancs. Alfred CORT-C0212 was born about 1910 in Blackburn, Lancashire. He died in ?. Nathaniel FOSTER-F0302 was born 1 on 24 Jan 1875 in Burnley, Lancashire. He died 2 about Nov 1940 in Chorley, Lancashire. Nathaniel married 3 Mary JACKSON-J0305 about Nov 1906 in Blackburn, Lancashire. Nathaniel was recorded in a census on 02 Apr 1911 at 15, Cobden Street, Chorley, Lancashire. In Sep 1939, Nathan was living at 1, Cobden Street in Chorley, with his wife Mary, daughter Alice and sons Frank and Tom. Nathan was working as a Textile Room Overlooker. Mary JACKSON [Parents]-J0305 was born 1, 2 on 04 May 1881 in Blackburn, Lancashire. She was christened on 12 Jun 1881 in the church of St Mary the Virgin in Blackburn. She died 3 about May 1955 in Chorley, Lancashire. Mary married 4 Nathaniel FOSTER-F0302 about Nov 1906 in Blackburn, Lancashire. Mary was recorded in a census 5 on 05 Apr 1891 at 42, Oxford Street, Blackburn, Lancs. She was recorded in a census 6 on 31 Mar 1901 at 42, Oxford Street, Blackburn, Lancs. She was recorded in a census on 02 Apr 1911 at 15, Cobden Street, Chorley, Lancashire. Emma FOSTER-F0214 was born about 1902 in Blackburn, Lancashire. Emma was recorded in a census on 02 Apr 1911 at 15, Cobden Street, Chorley, Lancashire. As Emma was born around 4 or 5 years before Nathan and Mary were married, it is possible that Nathan was not the father. However, there are births registered in Blackburn at that time for both Emma Foster (Mar 1902) and Emma Jackson (Dec 1902). Parish Register (probably St Mathews) or birth certificates may reveal more. Frank FOSTER-F0206 was born 1, 2 on 06 Dec 1912 in Chorley, Lancashire. He died 3 about Jul 1994 in Chorley, Lancashire. In Sep 1939, Frank was single and living at 1, Cobden Street in Chorley, with his parents, younger sister Alice and older brother Thomas. He was working as a Rubber Moulder. Thomas FOSTER-F0207 was born 1 on 04 Sep 1917 in Chorley, Lancashire. He died 2 about May 2003 in Chorley, Lancashire. In Sep 1939, Tom was single and living at 1, Cobden Street in Chorley, with his parents, younger sister Alice and younger brother Frank. He was working as a Motor Driver. Hugh BARTON-B0602 # was born about 1792 in Lancashire. He died in Feb 1837 in Preston, Lancashire. He was buried 1 on 14 Feb 1837 in St Wilfred RC Church, Preston, Lancashire. Hugh married 2 Ellen POTTER-P0604 # on 14 Feb 1814 in St Leonard's Church, Samlesbury, Lancashire. Hugh worked as Shoemaker in Preston, Lancashire. At the time of his marriage in 1814, Hugh gave his occupation as a Cordwainer (a Shoemaker). Ellen POTTER-P0604 # was born in From 1791 to 1796 in Lancashire. Ellen married 1 Hugh BARTON-B0602 # on 14 Feb 1814 in St Leonard's Church, Samlesbury, Lancashire. Ellen was recorded in a census on 07 Jun 1841 at Cunliffe Street, Preston. M i Thomas BARTON-B0584 was born about May 1816. M ii John BARTON-B0585 was born about Sep 1818. M iii Robert BARTON-B0586 was born about Nov 1820. Joseph BARTON-B0587 was born about Mar 1823 in Preston, Lancashire. He was christened 1 on 16 Mar 1823 in the Roman Catholic Church of St Wilfred in Preston, Lancashire. Joseph was recorded in a census on 07 Jun 1841 at Cunliffe Street, Preston. F v Mary BARTON-B0505 # was born about Sep 1825. She died on 22 May 1859 from phthisis. James BARTON-B0588 was born about Sep 1828 in Preston, Lancashire. He was christened 1 on 14 Sep 1828 in the Roman Catholic Church of St Wilfred in Preston, Lancashire. James was recorded in a census on 07 Jun 1841 at Cunliffe Street, Preston. Margaret BARTON-B0589 was born about Aug 1830 in Preston, Lancashire. She was christened 1 on 29 Aug 1830 in the Roman Catholic Church of St Wilfred in Preston, Lancashire. Hannah ALSTON [Parents]-A0604 # was born 1 on 30 Aug 1793 in Gisburn, Yorkshire. She was christened on 19 Sep 1793 in Saint Mary the Virgin, Gisburn, Yorkshire. She died in Feb 1876 in Whalley, Lancashire. She was buried 2 on 28 Feb 1876 in St Mary and All Saints, Whalley, Lancashire. Hannah was recorded in a census on 07 Jun 1841 at Wiswell, Lancashire. She was recorded in a census on 30 Mar 1851 at Wiswell, Lancashire. She was recorded in a census on 08 Apr 1861 at the Almshouse, Whalley, Lancashire. She was recorded in a census on 02 Apr 1871 at the Almshouse, Whalley, Lancashire. Hannah was living in the Almshouses in Whalley before she died. M i William ALSTON-A0501 # was born on 18 Oct 1812. He died in From Mar 1867 to Mar 1871. ROSTRON-R0601 # died in ?. F i Ellen ROSTRON-R0502 # was born about 1814. She died in Apr 1866. 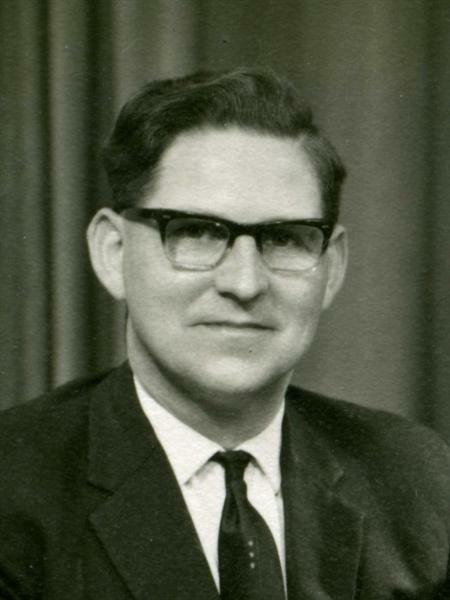 David BARTON [scrapbook]-B0203 was born on 06 Mar 1926 in Haslingden, Lancashire. He died on 19 Jan 2008 in Burnley, Lancashire. He was buried on 25 Jan 2008. David married 1 Florence JACKSON-J0206 about Aug 1949 in Blackburn, Lancashire. David worked as a Sales Representative (Biscuits then Wool). Florence JACKSON [Parents] [scrapbook]-J0206 was born on 14 Jul 1926 in Blackburn, Lancashire. She died on 24 Oct 2016 in Rishton, Nr. Blackburn, Lancashire. She was buried on 09 Nov 2016 in Clitheroe Cemetery, Clitheroe, Lancashire. Florence married 1 David BARTON-B0203 about Aug 1949 in Blackburn, Lancashire. F ii Pamela F BARTON-B0108. M i William Michael BARTON-B0010. M ii Edward James BARTON-B0011.